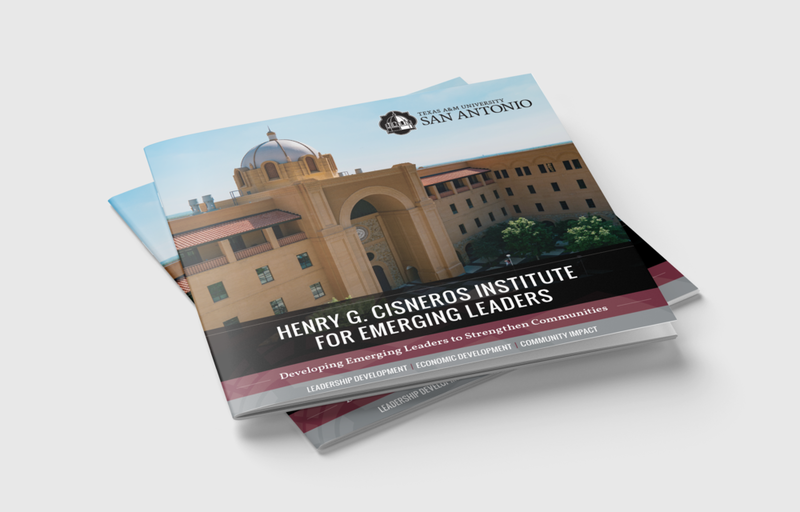 Texas A&M University San Antonio was eager to spread the word of the newly founded Henry G. Cisneros Institute that would provide leadership training and opportunities to its students. 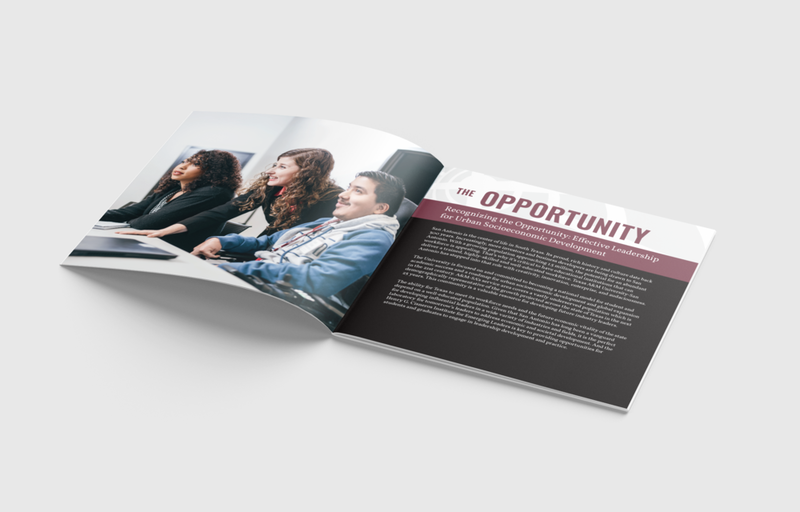 The client had an original brochure layout, but were open to a design refresh to accompany their newly written copy. 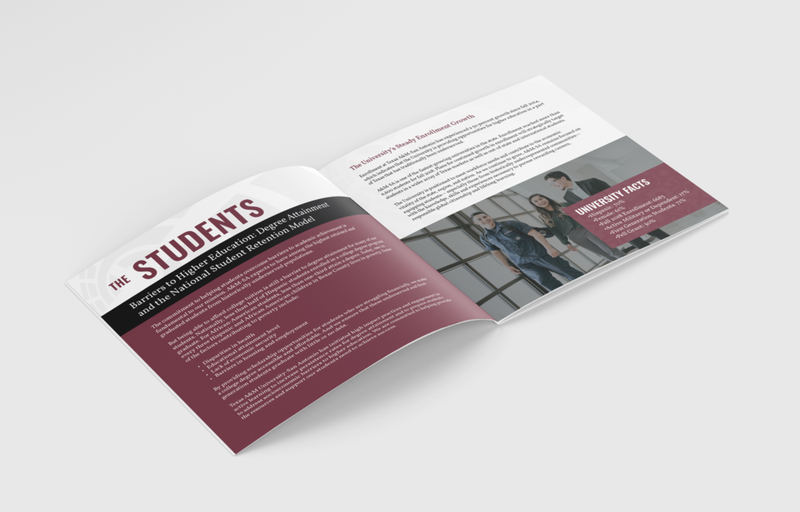 The final brochure design, which would be sent to prospective donors of the institution, placed Texas A&M’s students in the spotlight through the use of bold full-bleed photography made available by the university. The school’s colors and patterns were fully embraced as secondary design elements to frame the photography and copy. The result is a piece that established the new institution as a valuable new addition to the Texas A&M San Antonio experience.